Arriving at the court of Henry VIII and Anne Boleyn five months before the queen’s execution, Catherine Carey was but a girl. Within those five months she would learn so much about the court life, love, discover a lie and experience the greatest hurt…the loss of her aunt Nan. This magnificent tale written by Wendy J Dunn left me breathless. Catherine Carey, who is referred to as Kate in the book, is a young girl who fights tooth and nail to be sent to the household of her aunt. Her mother, Mary Boleyn does not want her daughter sent there, for her own personal reasons. Mary has been keeping a secret from her daughter. One that will rock young Kate’s world. Kate’s stepfather, William Stafford sees the court life as an opportunity for Kate and eventually convinces his wife to allow her to go. Her brother Henry is already there, having become the ward of the Queen after the death of William Carey, his father. From the moment Kate arrives she realizes there is a secret she is not privy to. It seems everyone knows but her that she is indeed the daughter of King Henry. She eventually finds out in the worst way one can be told such information. While at court, Kate makes many friends, one of which is discovered is also the illegitimate daughter of the king. One you would never expect. As the throne begins to crumble around her aunt, Kate finds love with a young Francis Knollys. This sweet love left me wanting to find out more about their life together after finishing the book. It’s the love she finds with Francis that helps young Kate understand the heartache her aunt is experiencing by the love she had with Henry. Kate insists on staying by her aunt’s side until the bitter end. 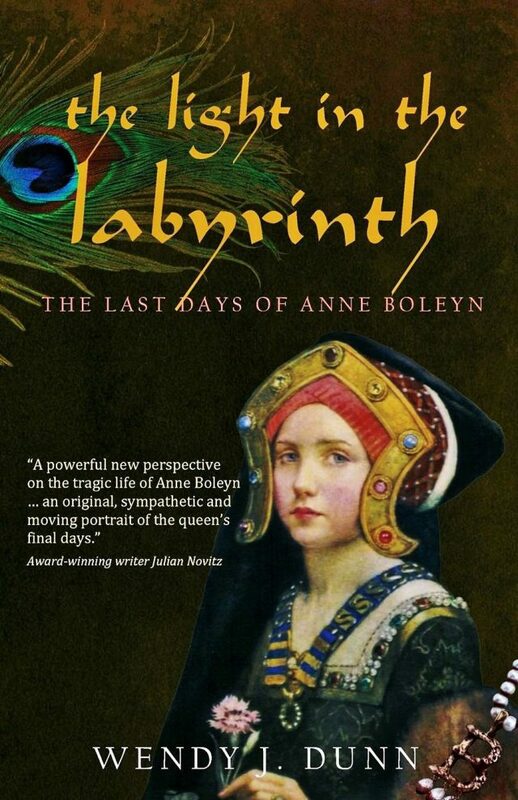 At the end of the book we witness the final moments of Anne Boleyn’s life through that of her niece. At the end of the book, when Kate is spending time with young Bess the day of her mother’s execution, tears flowed from my eyes. This book truly moved me. It was masterfully written and I did not want to put it down, even though I already knew how the story would end. Dunn is most definitely one of my all-time favorite authors. I cannot say enough good things her writing.